According to the Indian programme ‘Education in Human Values’​ created by educator Sathya Sai Baba, the great aim of education is the development of character. At the heart of the programme are five human values which are instilled in all students. 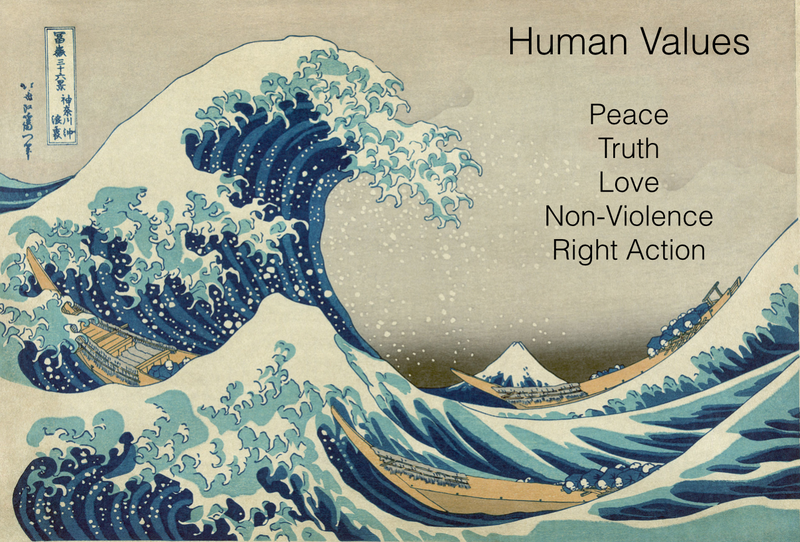 These are love, peace, righteousness, truth and non-violence. An education devoid of values results in the loss of the ability to see connections and the dynamic relationship between the parts and the whole. Introducing human values such as love, peace, righteousness, truth and non-violence into education develops exactly what Sergio has stressed – not just intelligence, but also wisdom. The Indian programme ‘Education in Human Values’​ was created with the explicit intention of producing future leaders who would receive an education infused with these values. We can refer to this as a form of ‘holonomic education’, one which prepares the individual not only for financial independence, which enables a dignified life, but also for a life of better choices, greater happiness and harmony. If we do not have this on a personal level, we will never have it at the social level – of households, organisations and society. Universal human values form the ethical and spiritual foundation of an organisation, allowing people to connect, communicate and work together in teams in order to achieve common goals. Authentic dialogue becomes possible, allowing the whole to overcome not just complex but wicked problems.